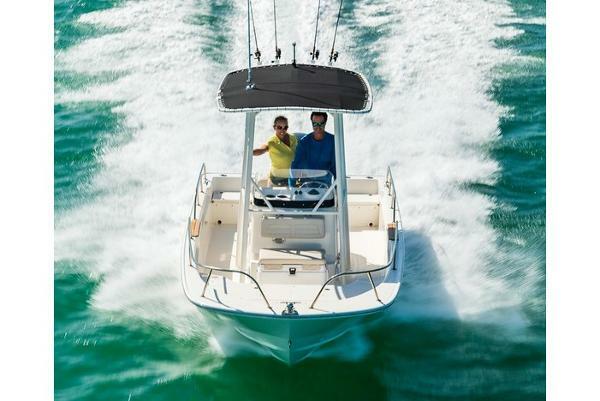 The 190 Montauk® elevates the beloved classic with features and enhancements sure to win hearts for generations. Retaining all the time-tested utility and easy operation of the original Montauks, the new 190 excels for fishing, watersports and beyond. 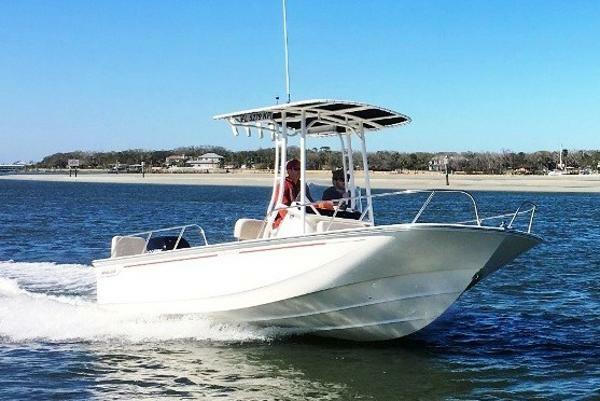 Every inch of space is maximized in this nimble center console model, meaning there’s plenty of room to stretch out and enjoy the ride, whatever the day may hold. Convenient forward fish box / storage compartment with overboard drain. Standard galvanized trailer with swing tongue, LED lights and disc brakes for easy towing. 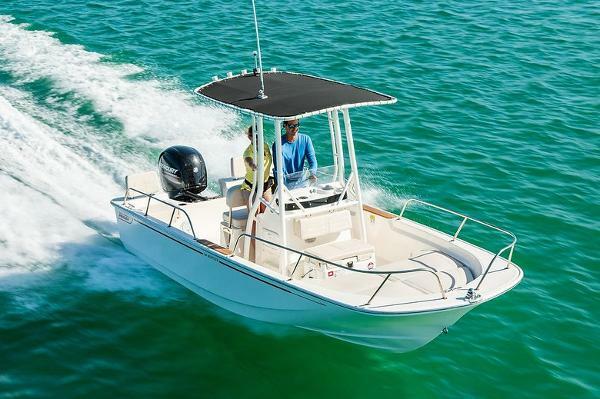 Optional port and starboard aft seating features comfortable cushions and removable backrests. 60-gallon integrated fuel tank. 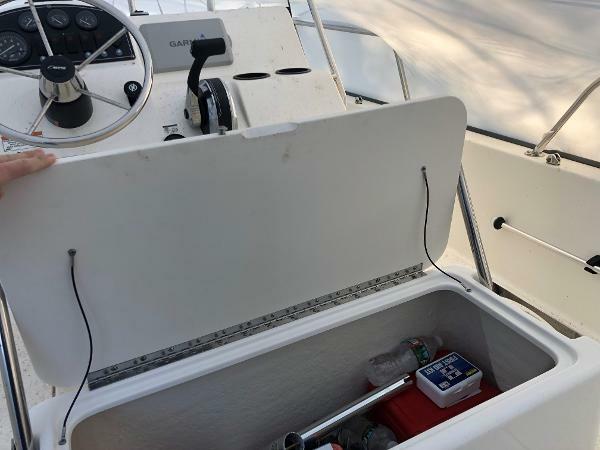 Optional Fishing Package includes 72-quart cooler seat, tackle drawers and console rod holders. Fiberglass swim platform with stainless steel, telescoping swim ladder aids re-entry from the water. Helm console available with state-of-the-art Raymarine® navigation and fishfinding electronics including RealVision 3D. Standard 115-hp EXLPT Mercury® Command Thrust FourStroke engine or optional 150 XL with hydraulic steering. Teak package adds stylish touches to the boarding steps and swim ladder.